Real Madrid set for Bale sale? The Wales international has been in-and-out of the starting lineup this term due to form and fitness concerns, but he has nonetheless attracted big-club interest from the likes of Manchester United and ex-club Tottenham Hotspur. According to Sport, Los Blancos were initially hoping to demand at least £90m for the attacker but they have now reduced the valuation to around £60m. 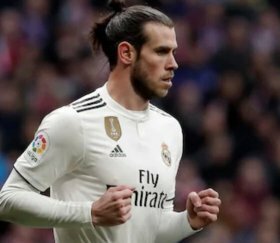 The same publication suggests that the lowered asking price has been influenced by the Welshman's average form this term, where he has managed just eight La Liga goals. Bale's agent Jonathan Barnett has recently stated that the 29-year-old has no plans of parting ways with the club, but the stance may change during the summer with the Capital side eyeing marquee signings. Chelsea's Eden Hazard and Tottenham Hotspur's Christian Eriksen have been earmarked as probable transfer targets and the arrival of either player is set to reduce his gametime further.